Point Blank is the main distributor for one of the leading armor plate manufacturers in the law enforcement market—Buffalo Armory. The company manufactures the revolutionary NIJ III+ Star Armor ® 555 armor plate, which provides a new standard for ballistic performance by absorbing multi-hits from high velocity rifle weapons; offers freedom of action with its ultra-thin design, and provides greater value at a fraction of the price for alternative ceramic plates. 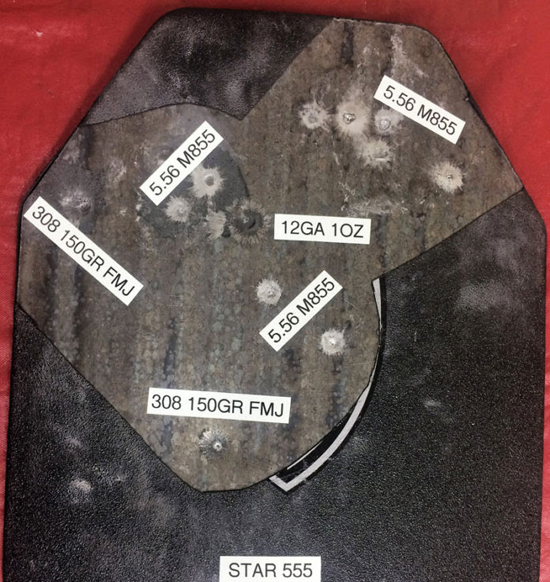 Revolutionary NIJ III Star Armor 555 armor plate, which provides a new standard for ballistic performance by absorbing multi-hits from high velocity rifle weapons. In light of the recent attacks on police officers and lone shooter situations, police departments nationwide are gearing up with Buffalo Armory’s Star Armor ® 555 armor plates, which are packaged into Point Blank Enterprise’s Active Shooter Response Kits. Each kit, which includes a vest with front and back body armor plates, weighs less than 18 pounds and protects a first responder’s vital organs when confronted with an active shooter with a high velocity rifle. When confronted with an active shooter, the officer simply dons the Active Shooter Response Kit over whatever he or she is wearing to take immediate action. 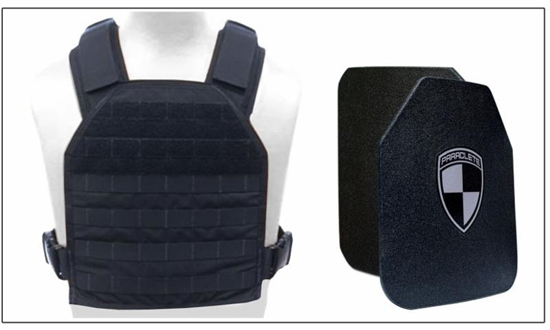 “Every police car, fire truck and ambulance should be equipped with body armor vests with Star Armor® 555 armor plates to protect our first responders from the active shooter, high velocity rifle threat,” says Batiste. “The old days where a first responder would contain an active shooter until the tactical unit arrived are over.” One of the most recent orders came from the Miami Police Department. “We feel it’s important for officers to have the Active Shooter Response Kit as another tool to respond to incidents with active shooters,” Major Lazaro Ferro said. “It’s not just for the officer. It’s so that we can take immediate action to get in there and rescue innocent lives that we must save,” Ferro said. Star Armor®555 armor plates are NIJ III 0101.06 Certified and NIJ III 0108.01 Compliant. In addition, the armor provides NIJ III+ protection to defeat the M855/SS109 5.56X45, M193 5.56X45, M43 7.62X39, LPS 7.62X54R, and the range of lesser caliber hand guns and shot guns, to include the 223 Remington (5.56 mm FMJ), 30 Carbine FMJ, 357 Magnum, 44 Magnum, 9mm, 38 Special and 12 gauge rifle slugs. FIND OUT MORE on Point Blank’s website.